No. Not Goldeneye. Goldeneye is too easy of an answer. Saying that Goldeneye is the best James Bond video game ever produced is like saying The Beatles are the best band ever. The answer might be true, but it’s such a lazy effort. Goldeneye is a terrific first-person shooter game, but for me a Bond video game has to separate from the movie franchise. What about the From Russia With Love video game that gave us the return of the original (and by this time, very old-sounding) 007…Sean Connery? Love it, but it’s just a remake. Then what about original ones such as Agent Under Fire? Nightfire? Bloodstone? 007 Legends? 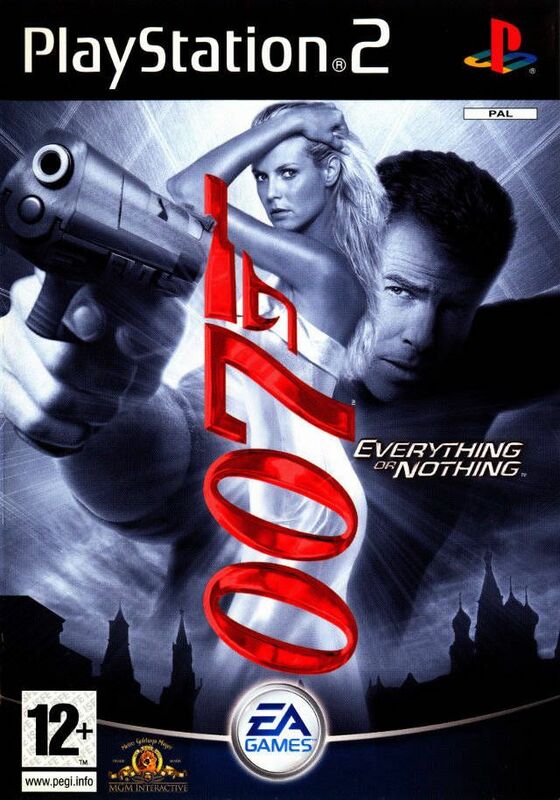 Not bad, but the best James Bond video game ever is Everything or Nothing! The title is so Bondian that the EON production company actually stands for this. Not only does it have Pierce Brosnan voicing Bond, but also Judi Dench as M and John Cleese as Q! Who wouldn’t want Willem Dafoe as Bond villain, or Heidi Klum and Shannon Elizabeth as Bond girls? Keep in mind this is 2004. Did I mention the return of Jaws? Locations? Tajikistan, Egypt, Peru, New Orleans, Moscow. Plenty of gadgets and fast cars. Even has a classic Bond title theme/intro after a signature pre-titles action sequence. It’s sung by Mya and she even has a small role in the game. Again, keep in mind this is 2004. I highly recommend watching this and pretending it’s Brosnan’s never-completed 5th movie. Even Pierce’s eye roll-worthy puns are on point! Am I saying Everything or Nothing would have been a great end to Brosnan’s Bond career? Not really. It would have been on par with Tomorrow Never Dies, The World Is Not Enough, and maybe slightly better than Die Another Day. All I know is between Nov 2002 and Nov 2006, we didn’t have a Bond movie to watch. So this is as good as it got. Give me everything or nothing at all!